Defence Secretary Gavin Williamson talks with members of the Parachute Regiment at a live demonstration in Wiltshire, in May 2018. The UK could establish new military bases in the Caribbean and Asia as part of a bid to become a "true global player" following Brexit, Defence Secretary Gavin Williamson has said. Williamson said that the 1960s policy of withdrawal from regions "east of Suez" had been ripped up as the UK takes the opportunity to "recast" its role on the global stage. He played down the significance of his announcement that troops were being put on standby to assist civil authorities on Brexit day, describing it as "good sensible planning to make sure that everything runs as smoothly as possible". Speaking to the Sunday Telegraph, Williamson said Britons should be "much more optimistic about our future as we exit the European Union". 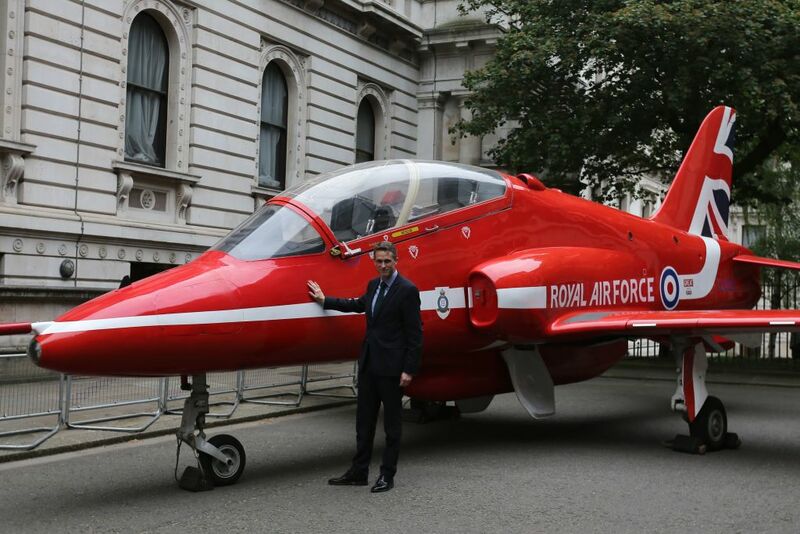 Defence Secretary Gavin Williamson poses alongside a replica British Royal Air Force's (RAF) Red Arrows BAE Hawk aircraft outside Downing Street. Williamson said he was looking at opportunities to establish a UK presence "not just in the Far East but also in the Caribbean as well". He declined to identify possible locations, but the Telegraph quoted a source close to the Defence Secretary as saying that new bases, housing service and maintenance staff, supply ships and equipment, could be sited in Singapore or Brunei in the South China Sea, or Montserrat or Guyana in the Caribbean "within the next couple of years". Williamson said: "I am ... very much looking at how can we get as much of our resources forward based, actually creating a deterrent but also taking a British presence. We are looking at those opportunities not just in the Far East but also in the Caribbean as well." The Defence Secretary predicted these countries would look to the UK for "the moral leadership, the military leadership and the global leadership". He said that recent research showed that Britons under-estimated the potential for UK global influence.